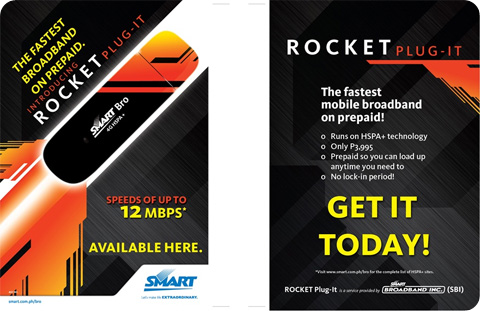 Smart Bro releases the Rocket Plug-It prepaid internet dongle that uses the HSPA+ network. The dongle costs P3,995 and promoted to have a speed of up to 12Mbps. Please find below the list of HSPA+ sites in the Philippines where the Rocket Plug-It could be used. Not so good since I don’t see Batangas in the list.